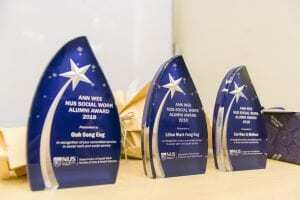 On 31 August 2018, the Department of Social Work held the inaugural Ann Wee NUS Social Work Award Ceremony. 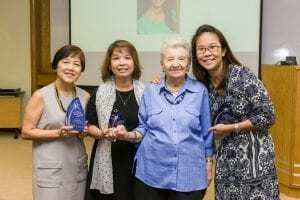 The Award is named after Mrs Ann Wee, a pioneer social work educator and the longest-serving Head of the Department, was present at the ceremony. The Award serves to recognise NUS Social Work alumnus who have made major contributions to social work education and practice. The three alumna who received the award were Ms Goh Song Eng, a senior medical social worker at the Institute of Mental Health (IMH); Ms Lilian Mark Fong Eng, Head of Medical Social Work Department at IMH; and Ms Lim Wan-Li Melissa, Social Work Clinical Director and Principal Social Worker at Shine Children and Youth Services. Ms Goh was with the Students Care Service for close to 30 years. She was responsible for the agency’s maiden publication ‘Systemic practice in social work’ in 2001. She also established the REACH Counselling Centre during her headship at the REACH Community Services Society. 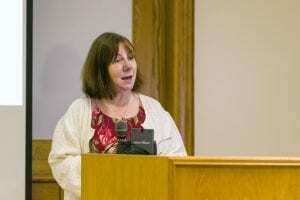 In her current position in IMH, she provides clinical work to patients and their families and conducts supervision and systemic training to younger social workers. Her adaptability, continuous learning stance and willingness to mentor younger social workers leaves behind an inspiring legacy. Ms Mark has been a social work practitioner since 1986, primarily in the healthcare field. She also spent a few years at the then Ministry of Community Development where she was involved in the funding and service development of policies relating to elder care in the community. She has made pivotal impact to the field at different levels and is instrumental in expanding services for mental health patients through networking with the Ministry of Health, Agency for Integrated Care and many Intermediate and Long Term Care Services. She has demonstrated extraordinary ability in fostering inter-sectorial synergy to reduce service gaps and enhance services for patients. For instance, most recently, she initiated the close partnership between MSF Child Protection Service and IMH in management of patients who are parents and their children. Ms Lim’s social work career started from the Students Care Service. She went on to lead the School Social Work at Assumption Pathway School prior to joining her current organization, Shine Children and Youth Services. She has conducted workshops for students, teachers, parents and fellow practitioners and contributed professional opinions in the media. She is an inspiring supervisor who never fails to go that extra mile to extend her care and concern. Her enduring presence has also created a nurturing environment that allow colleagues to develop openness and keenness to learn and grow professionally. The Department also took the opportunity that day to celebrate the graduation of the cohort who completed the Graduate Diploma in Social Work. Associate Professor Loy Hui Chieh, FASS Vice Dean of External Relations and Student Life presented the certificates to the GDSW graduates. The event ended with a short sharing of their social work education journeys by Ms Amanda Lim, senior youth guidance officer at Ministry of Social and Family Development, and Ms Ranitha Govindasamy, a medical social worker at National Cancer Centre Singapore. 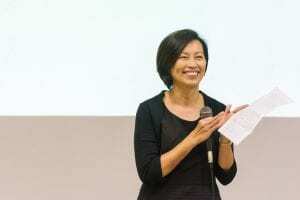 The National University of Singapore (NUS) Faculty of Arts and Social Sciences has established the Mrs Lee Choon Guan Endowed Research Fund to promote applied social work research with the aim of enhancing social service provision and delivery at social service agencies. The new research fund is established through a philanthropic gift of S$2.37 million from the Mrs Lee Choon Guan Trust Fund. This gift is eligible for the Government matching grant. Administered by the NUS Department of Social Work, the new research fund will support practice research projects that promote collaboration between practice and research. 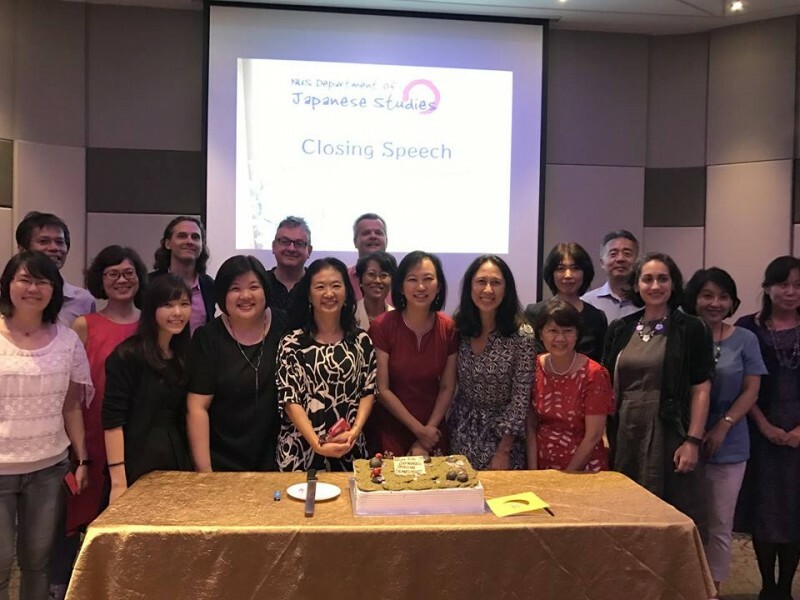 In practice research projects, practising social workers and NUS researchers will work hand in hand to address real-world challenges in Singapore’s social service sector, and in the process, social workers could build their capacity and capability to handle a variety of local issues. Findings from such research projects will also contribute towards improving the accessibility, delivery and design of social services; enhancing the well-being of service users, as well as contributing to policy discussions at the service providers and government levels. “The Department of Social Work is in a strategic position to host the Mrs Lee Choon Guan Endowed Research Fund to collaboratively conduct practice research with practitioners that will positively impact service users. 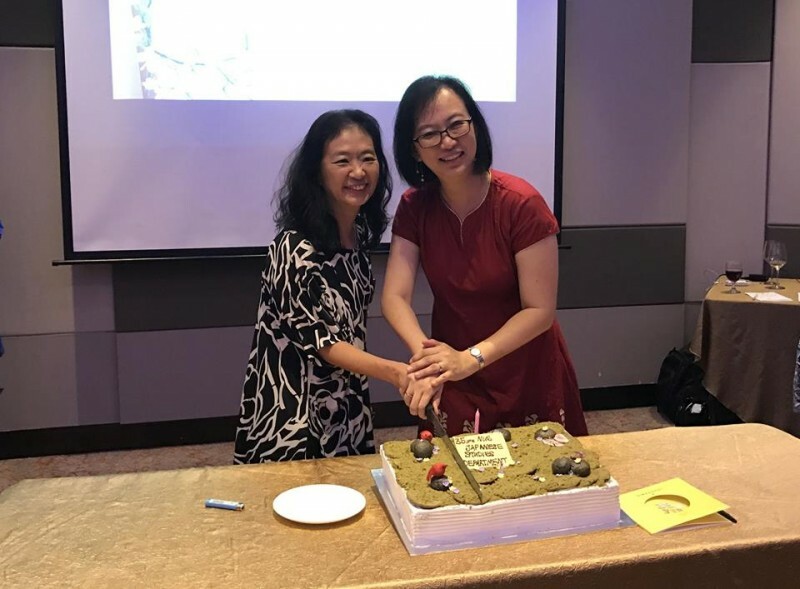 The synergy between the extensive research competencies of our academic staff team and the ground expertise of social work practitioners will generate research findings that could build the knowledge base for social work practice in Singapore and enhance the well-being of the clients we serve,” Assoc Prof Goh explained. A trailblazing woman of her time, Mrs Lee Choon Guan championed many causes, including women’s education and reduction of child mortality. Through the Mrs Lee Choon Guan Trust Fund, her great-grandson Mr Keith Chua, who is Trustee for the Trust Fund, continues to support her causes in education and health care in Singapore and abroad. A long-time supporter of education and research initiatives at NUS, he first initiated the idea of philanthropy as a subject to be offered at the NUS Business School, which culminated into an initial gift of S$1.5 million to support the establishment of the Centre for Social Entrepreneurship and Philanthropy at the NUS Business School in 2009 (later renamed Asia Centre for Social Entrepreneurship and Philanthropy in 2011). The Mrs Lee Choon Guan Endowed Research Fund will provide funding for social workers to carry out practice research projects that will benefit service provision and delivery at social service agencies. Depending on the viability and impact of the projects, successful applicants can expect to receive funding that ranges from S$20,000 to S$30,000 for each practice research project. Each project is expected to be completed within a three-year period. Social workers applying for the funding will be matched with researchers from the NUS Department of Social Work, who will partner them as co-principal investigators for the research projects. The practice research projects will involve service providers, service users, and caregivers in the conceptualisation, implementation, analysis and utilisation of the research findings. Applicants must be a practising social worker with a keen interest to do practice research. They will also need to secure endorsement and support from their employers. In addition, project proposals must show feasibility and have the potential to translate into training or teaching materials. The NUS Department of Social Work envisions that these practice research projects will have the potential to improve the accessibility, delivery and design of social services; enhance the well-being of service users, as well as contribute to policy discussions at the service providers and government levels. The first call of applications for the fund will be announced in 2018. 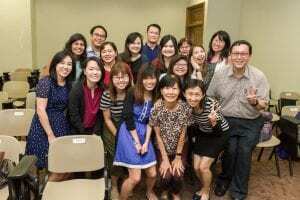 In the year ahead, the NUS Department of Social Work intends to increase the awareness of and impart competence in conducting social work practice research, by holding a series of public lectures and conferences on practice research. It will also conduct visits to social service agencies to explore possible research areas as well as conduct clinics to train interested social workers in conducting practice research. For information on making a gift to NUS, contact us at 1800-DEVELOP (1800-338-3567) or email askdvo@nus.edu.sg. 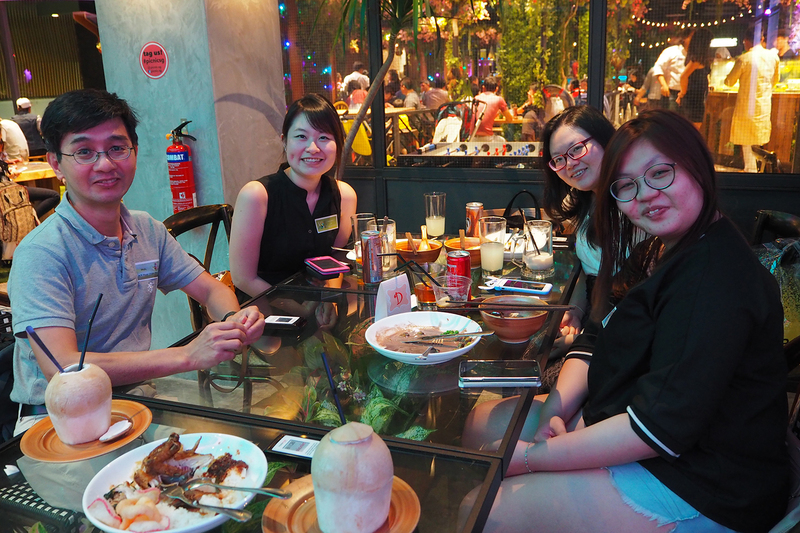 The Faculty of Arts and Social Sciences (FASS) held its annual Class Champions and Class Ambassadors Appreciation Dinner on 29 June 2017 at Picnic Singapore, marking the graduation of yet another batch of dedicated Class Champions. As its name suggests, the purpose of the dinner was a simple one: to recognize and show our appreciation for FASS’ Class Champions, the leaders of the class giving effort for the graduating batch of their respective departments. This tradition exists to ensure that financially needy students will benefit from the same experiences as did the previous batches, and to make an impression on our students of the importance of giving back. Also in attendance were Class Ambassadors; members of the External Relations and Student Life (ERSL) team, including A/P Loy Hui Chieh, Vice Dean, and A/P Phua Chiew Pheng, Assistant Dean; Department Representatives, as well as Mr Chua Sin Chew from the NUS Office of Alumni Relations (OAR). Armed with a bittersweet awareness that Commencement was quickly approaching, the students’ apprehension at starting a new chapter of their lives was nonetheless overwhelmed by the excitement of the beginnings of something new and rewarding. Teary goodbyes were also precluded, as the end of the students’ journey as Class Champions also marked their assumption of a new role: Class Ambassadors, whose role is preserve friendships and keep in touch with fellow alumnus; ensuring that they lose neither their friendships with each other, nor with the University and the Faculty, as they are kept updated on current happenings and upcoming events. The atmosphere throughout the night was a lively one, as emcee Khoo Yi Feng kept everyone’s spirits high. 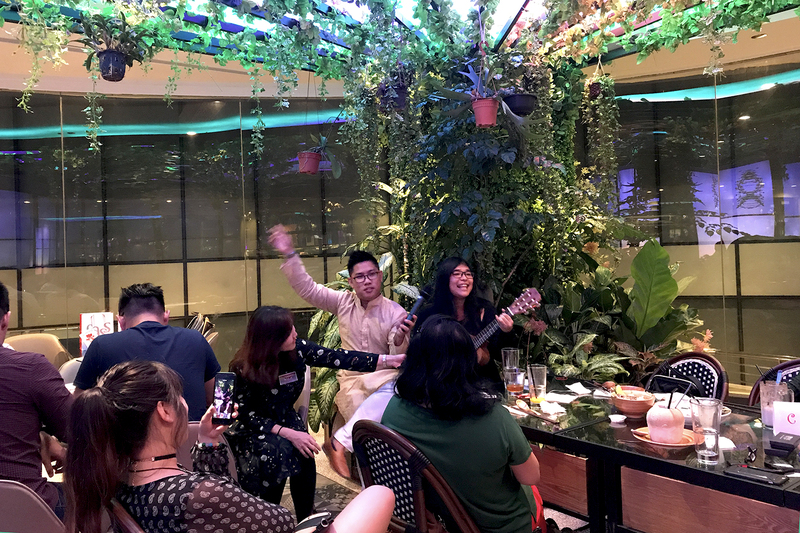 As guests mingled over food and drinks, they were also treated to a surprise performance by Class Champion Lara Tay from the Department of English Language and Linguistics, who serenaded the audience with a number of hits that everyone couldn’t help but sing along to. The performance was quickly followed by games and a sharing session, which prompted much laughter from the guests. The last segment of the night started with a presentation by Mr Chua Sin Chew from OAR, who highlighted the facilitative role that the University could play in organizing gatherings, such as by providing a venue free of charge. He also shared about several upcoming events from NUS Alumni, such as the upcoming Kent Ridge Alumni Family Day, and NUS Day of Service. This was followed by Ms Karen Wong’s presentation on the FASS Mentorship Programme, which encourages alumni who have since accumulated some experience in the working world to give back to FASS by mentoring current students and guiding them forward in charting a successful career path. The night concluded successfully with a lucky draw, as several students got to leave with special FASS mementos to call their own. FASS would like to again extend our gratitude to our Class Champions and Class Ambassadors for their hard work in coordinating the Class Giving Effort, and for keeping each graduating class in touch with each other, as well as with the school. 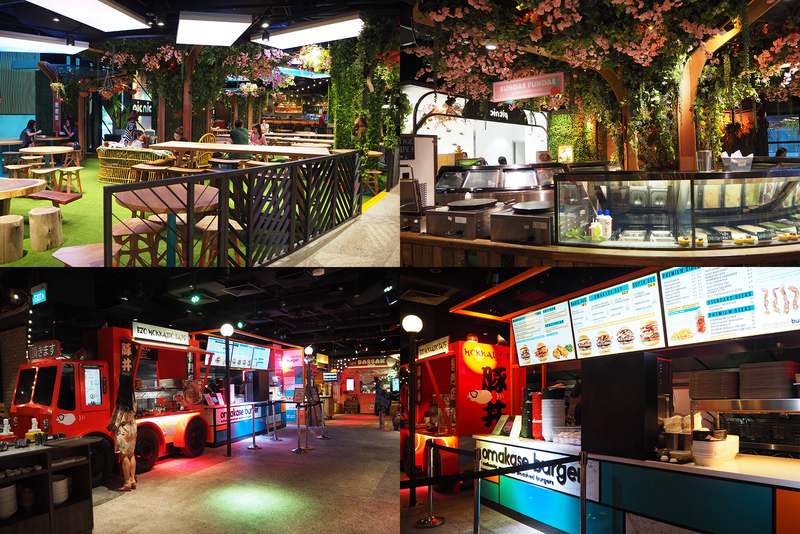 See you at the next gathering! 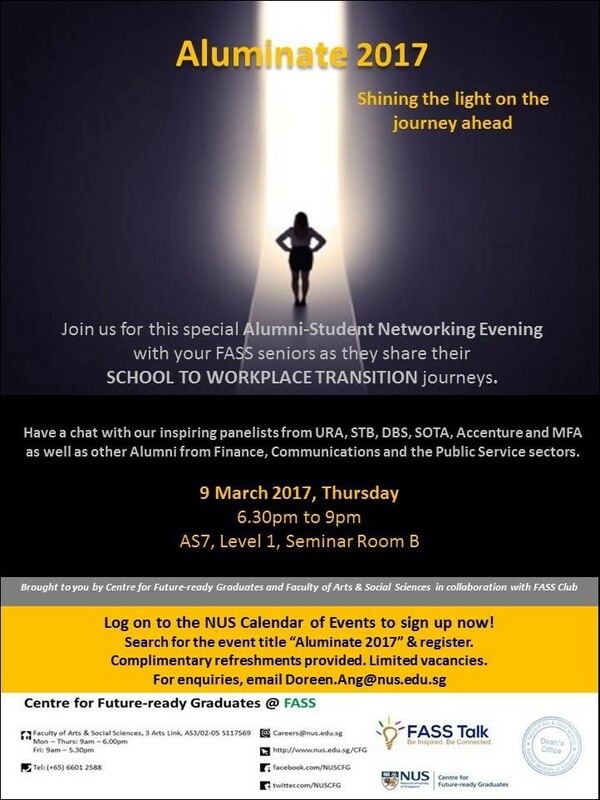 Join us for this special Alumni-Student Networking Evening with your FASS seniors as they share their SCHOOL TO WORKPLACE TRANSITION journeys. Click here for the Speakers’ Profile! Department of Japanese Celebrates its 35th Anniversary! 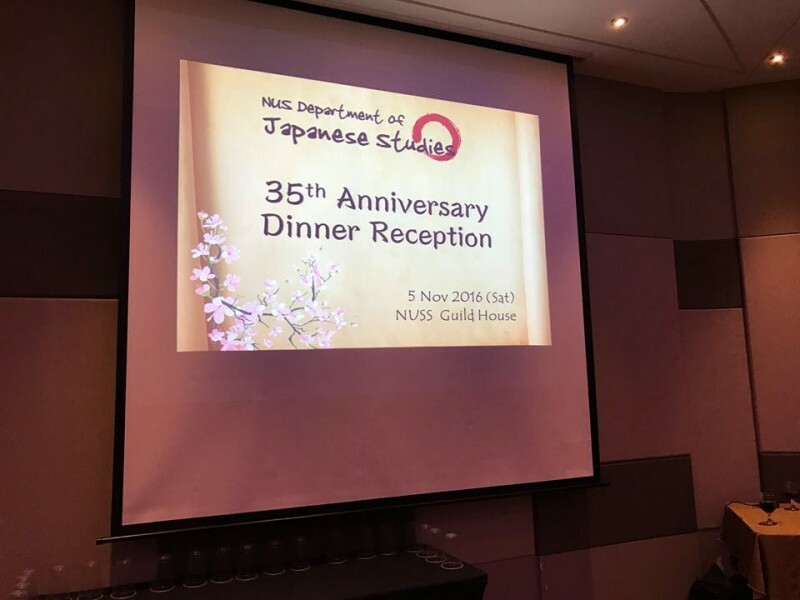 On 5 November 2016, the Department of Japanese Studies and the Japanese Studies Alumni Group organised a dinner party at the NUSS Suntec City Guild House to celebrate the Department’s 35th anniversary. More than 60 former and present staff, alumni members and guests attended the special event. 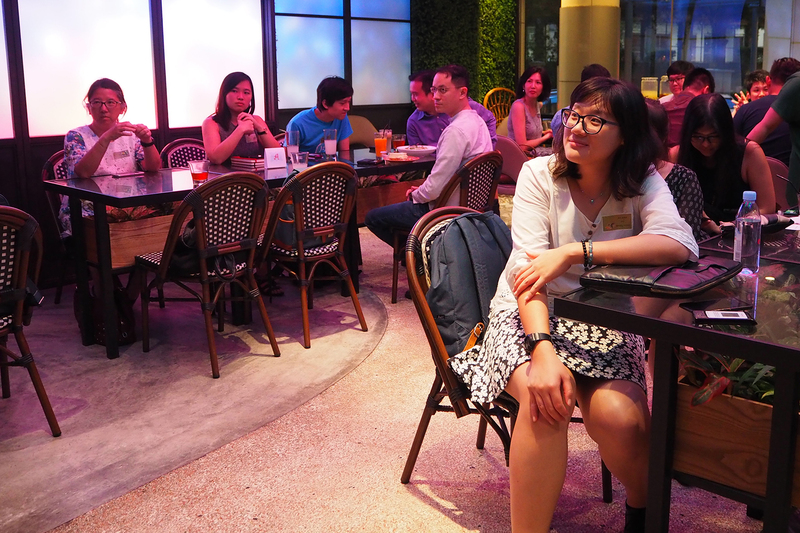 Participants were treated to an awesome night of good food, exciting games, and attractive prizes. For more photos, visit the Department’s Facebook page! 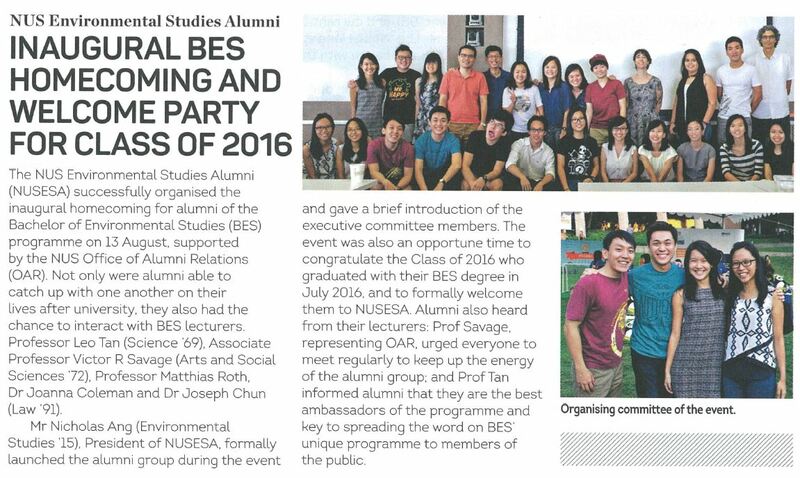 Inaugural homecoming for the alumni’s was successfully organised by the NUS Environmental Studies Alumni (NUSESA) on 13 August supported by the NUS Office of Alumni Relations (OAR). 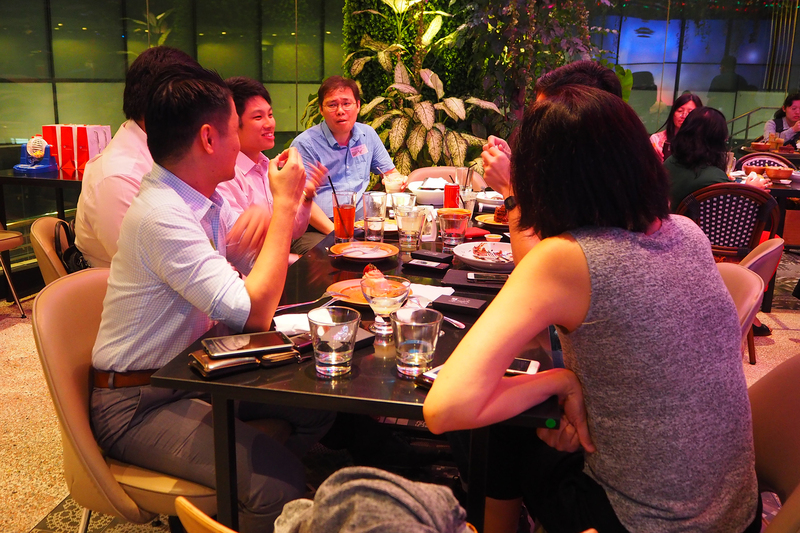 The alumni had the opportunity to connect with each other including the BES Lecturers, Professor Leo Tan (Science’69), Associate Professor Victor R Savage (Arts and Social Sciences’72), Professor Matthias Roth, Dr Joanna Coleman and Dr Joseph Chun. Prof Savage, whom represented OAR, urged everyone to meet regularly to keep up with energy of the alumni group. 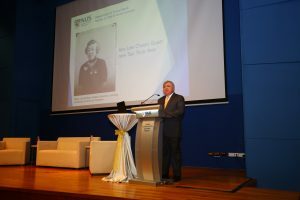 Prof Tan also mentioned that the alumni’s are the best ambassadors to spread the word on BES to members of the public. 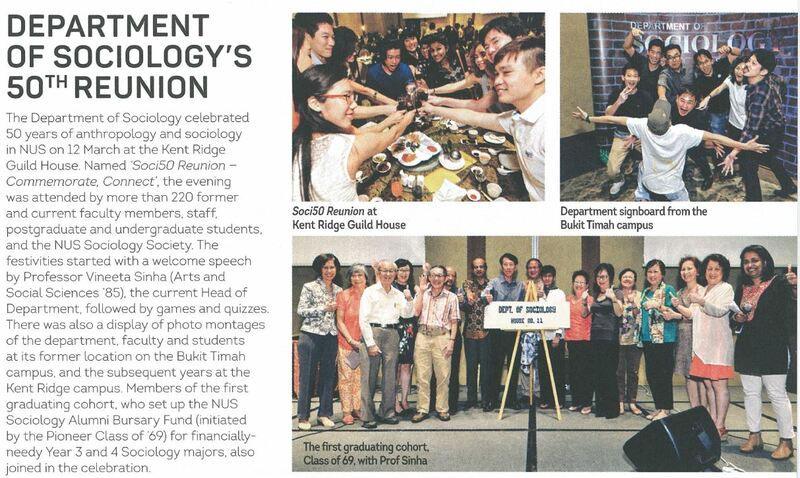 On 12 March, the Department of Sociology celebrated their 50 years of anthropology and sociology at the NUS Kent Ridge Guild House. The event started with a welcome speech by Professor Vineeta Sinha, the current Head of Department, followed by games and quizzes. 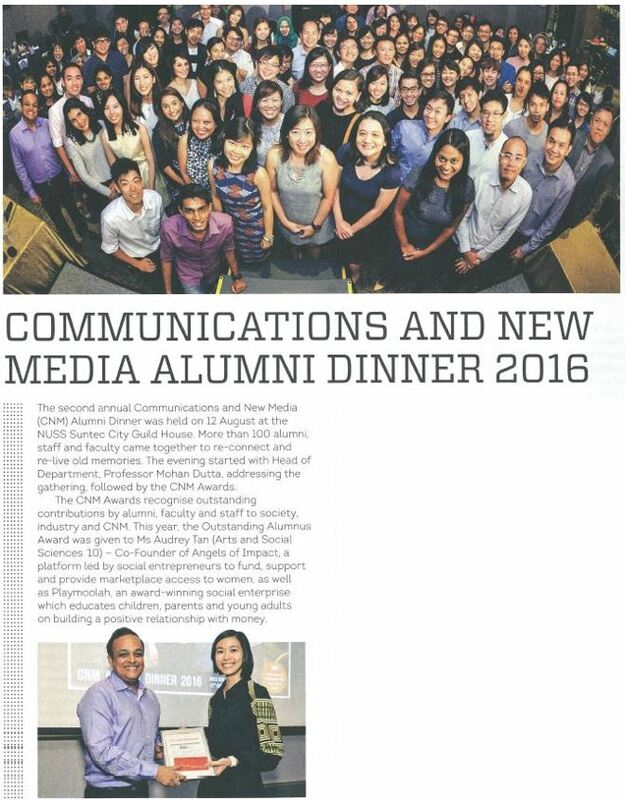 The Annual Communications and New Media (CNM) Alumni Dinner was held for second time on 12 August at the NUSS Suntec City Guild House. The evening started with Professor Mohan Dutta, the Head of Department addressing the gathering, followed by the CNM Awards. This year, the Outstanding Alumnus Award was given to Ms Audrey Tan, the co-founder of Angels of Impact and Playmoolah.